Question of the Week: How do you organize your books? Either at home on your bookshelves or on your reading-device, or on your bookish platform like Goodreads, Leafmarks or Booklikes. Okay, because I'm a touch OCD, I go a little overboard on this, especially with physical copies of books at home. I organize everything first according to genre on the shelf. Then I organize those based on author name, and then further by title alphabetically. If I remove something, it always has to go in the same spot when I put it back. If I get something new, it has to be slotted into an "unread" section and then gets slotted in as described above. Further than that, everything I get goes onto a spreadsheet with multiple tabs. The tabs are: Out Now-To Be Acquired, Upcoming Books, To Be Reviewed, and Completed - 2015. Once I find a book that looks interesting, I add it to Upcoming Books with a release date and small summary. Once it's out, it gets moved to the Out Now tab. Once I've gotten it, I move it to the To Be Reviewed tab. Once read, I move it to the Completed - 2015 tab where I put it under one of two sections: Reviewed or Books Read but Not Reviewed. On my To Be Reviewed tab, I also color coordinate based on whether the book is an ARC or not, and I have a blog tour and ARC release date schedule at the bottom so I can keep track of which books need to be read/reviewed by when. Told you I was OCD. I haven't categorized by Goodreads yet, but that's actually something I've been thinking about a lot lately and may start doing here shortly. I know it will be a big task to go back and categorize all those books. 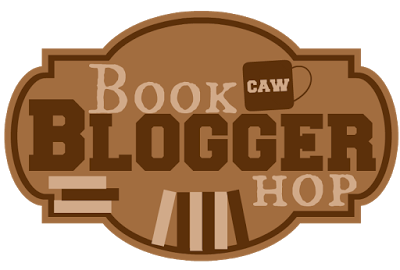 The Book Blogger Hop was originally created by Jennifer from Crazy-For-Books. It was retired on December 31, 2012, but then relaunched in February 2013 by Ramblings of a Coffee-Addicted Writer. Question of the Week: If you see a book you like but see it is 400 or 500+ pages, will you still read it? Absolutely! Especially if it's a book by an author that I love who has a proven track record of giving me book swoons. I will be all the happier that it's a long book because that means I'll be able to enjoy some awesomeness even longer. LOL! See my follow information above. Lastly, I would love to feature another blog or a guest post on my blog. 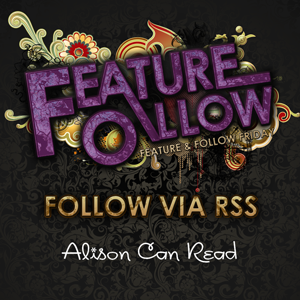 Please email me, or fill out the form on my Be a Featured Blog page, from the blog's main menu.